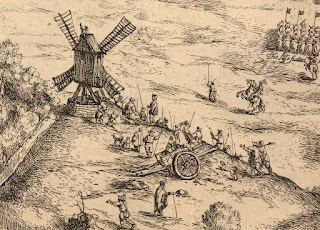 Adwalton Moor is a reasonably well-documented battle. 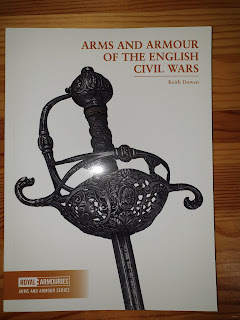 Accounts of the fighting survive from both the Parliamentarian and Royalist viewpoints. The course of events is easy to reconstruct and, with the help of the original Ordnance Survey map of the area, can be matched to features of the terrain mentioned by participants. Lord Ferdinando Fairfax decided to meet The Earl of Newcastle in open battle rather than be besieged in Bradford, which he deemed undefensible. They met by chance at Adwalton. 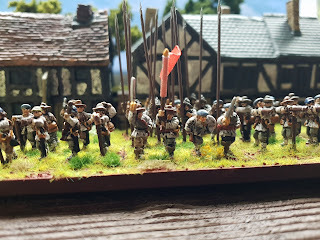 Both sides seemed to be stuck in a stalemate, a vastly outnumbered Parliamentarian army advancing only to be repulsed by the Royalists; Royalist advances being repulsed by Parliament. 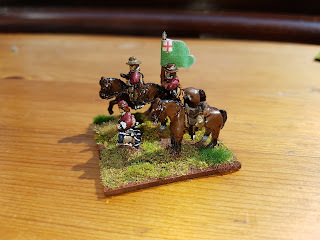 The final Royalist surge drove the Parliamentarians back, Parliamentarian resistance crumbled, and they lost considerable numbers - the remains of the Parliamentarian army fled back to Bradford or Halifax. 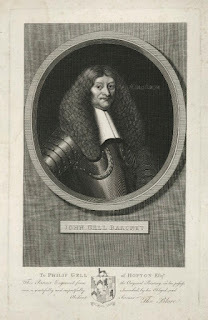 The battle gave control of the north to the Royalists and presented the Earl of Newcastle with the opportunity to threaten the Parliamentary heartland of the Eastern Association. 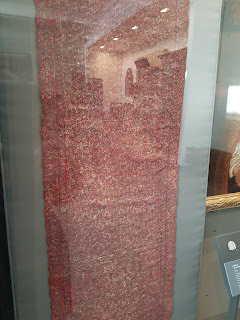 This forced the Parliamentarians into a religious and political alliance with Scotland, which in turn, led to a Parliamentarian victory at Marston Moor. Plus the battle had the best named Royalist officer ever (and whose decision making probably won the battle for the Royalists) Colonel Posthumous Kirton. Visiting the site: the battlefield is split in two by the A58. To the north of the A58 the battlefield lies under agricultural land, with minimal access (one footpath crosses one corner of the land). The half that lies to the south: whilst much has been built over, the area in which the Parliamentarian advance was halted remains open ground. To access this part of the battlefield, park at Drighlington Library where an interpretive panel leads you onto a route around the site. Four stone 'stations' mark important parts of the moor in a battlefield sense (the first is next to the library). Unfortunately they don't actually tell you where the stone 'stations' actually are, apart from the first one. First marker stone, located next to the library. As you face this stone, turn left and walk up the ridge, you should see marker stone two in the middle of the moor. Stone two. As you face this plaque look over to your left, you should see some rugby posts. Walk towards these, crossing over the road. Next to the rugby pitch is a sunken field; which is where you will find stone three. Stone three, finally they've decided to give a direction arrow to stone four! Stone four, located next to the crossroads at the corner of one of the football pitches. You can walk up Moorland Road to get back to the library. 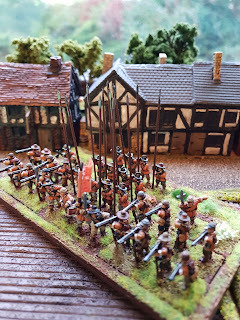 Whilst you are in the area, locally there are two exhibitions which throw light upon the era and the battle (which will make up for the anti-climax that is the actual battlefield). There is a display relating to the battle at Bolling Hall, Bradford, which lies a few miles from the site and was itself a Royalist base. Over half of this house is presented as a Tudor/Stuart residence, the rest is presented as it would have been in Georgian and Victorian times. there are a number of helmets and weapons on display. Visit the bedroom where the Earl of Newcastle slept, and was visited by a ghost who persuaded him to spare the people of Bradford. Finally the 'Civil War Room' which has more helmets, a model of the battle and various other artefacts. (it was in this room that the siege of Bradford was planned as it had good views over the city). Oakwell Hall is a beautifully preserved Tudor/Stuart residence set in a country park. It gives an insight into life during the period, with several references to the Civil War. The hall is open at weekends and during Kirklees school holidays only.